The extended family that sits around the religious Zionist table is usually highly diversified. This article discusses how this pluralism can be a source of blessing and not division. The ideological struggle between the conservative (chardalnik) and liberal camps of religious Zionist society has sharply intensified over the last year and a half. The conservative and liberal camps have argued over the issues of the selection of the chief rabbi, terms for conversion, marital union statuses, the new draft law and the status of yeshiva learning, government funding of non halalhic Jewish institutions, and relations with the ultra-orthodox and with Yair Lapid. The conservative camp has argued for minimal changes in the present religious legislation-chief rabbinate status quo, and has strained to maintain a working relation with the ultra-orthodox. 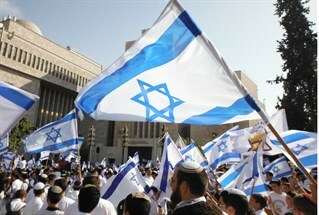 The liberal camp has promoted what it calls "small but very significant" changes in the legislative religious status quo, in defiance of the ultra-orthodox, in order, in its view, to make the religious establishment more acceptable and relevant to a large segment of traditional and secular Israeli Jews who want to maintain a degree of meaningful connection with their religious tradition. Many commentators have written about the pain, frustration and even fear, that they experience when listening to our conservative-liberal religious ideological debate. I beg to differ, and would like to present two basic insights. One, that this ideological debate is a sign of blessing, a symptom and an outgrowth of the very creative, energetic growth of religious Zionist society over the last twenty years in all areas of Israeli life. Second, I want to put forth a warning to both camps. Please continue to develop and argue your differing understandings of what G-d wants, and what should be currently beneficial to the Jew in the land of Israel. But, constantly remember, that you are part of a 'one family' and desperately need each other so as to moderate and reality check the ideological excesses of the other. The conservative wing needs to remain bonded to the liberal wing in order that it remain sociologically and politically relevant to the majority of religious Zionists, and not withdraw into being seen as a rabbinic sect. The liberal wing must listen and feel camaraderie with the conservative wing so that it does not fall into the bottomless pit of assimilation into Israeli secular society. The body of religious Zionism needs both its conservative 'spiritual' heart, and its liberal, intellectually free 'mind' to continue to develop, and certainly its 'heart' and 'mind' cannot exist without each other. The rise of the Jewish Home party whose style is embodied in the Bennet-Shaked couple. I believe, however, that these are secondary reasons. The real reason for diversity is simply, that compared with the religious Zionist camp of twenty five years ago we are now much more creative and diversified in the positions that we fill in Israeli secular society. The first generation graduates of the ulpanot and yeshivot tichoniyot, now hold key positions in areas ranging from the army and settlement development to law, finance and governmental administration. Innovative, creative religious Zionist expression in the arts, media, academy, welfare, and educational institutions has increased tenfold. This greater involvement in Israeli society creates social and ideological diversity in our camp, which in turn creates ideological debate. The most concrete proof of this growing diversity is the example of the typical 2014 religious Zionist family. Almost every family includes and accepts a wide range of religious self definitions. This pluralism includes, for example, rabbinic families some of whose children have become less observant and less attached to Torah learning, and it also includes the families of university professors who have children spending many years learning in yeshiva. Growth breeds diversity, which in turn breeds debate. Growth and diversity are two sides of the same coin. These understandings bring us to our second point. Our ideological pluralism will be a blessing when both camps accept the critical need to listen and learn from the other. The rabbinic, conservative camp wants family and societal life to conform as much possible to the Shulchan Aruch/rabbinic teachings, and sees the humanistic, liberal social values of Israeli secular society as 'guilty, unless proven innocent" . In contrast, the liberal religious Zionist wing basically accepts the liberal social values of Israeli society as "innocent , unless proven guilty", and attempts to interpret religious law according to liberal social values so as to make religious law more "livable" for the average religious Zionist family. The conservative camp must realize the need to listen to the liberal camp so as to more realistically relate to the actual, day by day dilemmas inherent in the average religious Zionists family's struggle with modernity and in order to maintain the socio-political leverage and influence it has acquired over the years. The liberal camp must listen and stay bonded to the conservative camp in order to avoid the danger of too rapidly sliding down the slippery slope of secular liberalism into a non-differential assimilation into secular Israeli society , and into the Conservative Movement's stance that doing the mitzvoth is a matter of traditional sentiment rather than one of religious observance. Let us thus pray that the splendid family diversity around the religious Zionist table becomes a diversity of blessing, and not of division.